“New York homeowners looking to refinance an existing mortgage don’t have to pay the state’s mortgage recording tax all over again. Yet they may end up doing so if their lenders don’t cooperate. The state charges a recording tax on new mortgage debt. The rate varies by county, with the minimum being 1.05 percent of the loan amount. ……………………..
A city resident borrowing $600,000, for example, would be charged around $11,500 for the recording tax. But fortunately, homeowners aren’t required to pay the tax again when they refinance. ‘The borrower already paid the tax on the existing mortgage and is entitled by statute to an exemption from payment of the tax with respect to an existing principal balance a second time,’ said Guy Arad, a lawyer with Adam Leitman Bailey in Manhattan. Still, borrowers who choose to switch lenders when refinancing sometimes get stuck paying it anyway. Here’s why: in order to skip the tax when switching lenders, borrowers must arrange for their existing lender to assign, or transfer, the mortgage to the new lender. 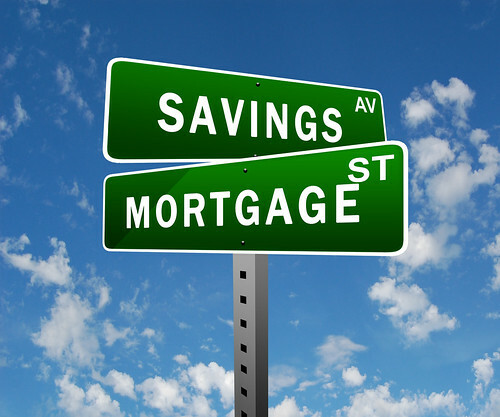 The new lender then recasts the old mortgage to meet the new terms. But lenders don’t always agree to do what’s known as an assignment — a 1989 amendment to state law gives them discretion to reject such requests, according to Douglas Wasser, a Manhattan real estate lawyer. ‘The resulting cost to borrowers can be thousands of dollars in taxes which could otherwise be easily avoided,” Mr. Wasser said. “I’ve personally seen borrower frustration on this issue many times.’ ……………….. The assignment process (a Consolidation, Extension and Modification Agreement) requires more time and paperwork than the usual practice of just paying off the old mortgage. And both the old and new lenders must be represented at the closing table, Mr. Wasser said. Borrowers will likely have to pay extra legal fees, along with the old lender’s assignment fee. Those fees should be weighed against the tax savings. ‘I tell clients, if the mortgage tax savings are less than a couple of thousand dollars, the time, effort, aggravation and cost may not be worth the result,’ Mr. Wasser said. Also, borrowers should be aware that if their new loan is larger than the outstanding debt on the previous loan, they will be taxed on the difference. For example, if the unpaid balance on an old loan is $300,000, and the new loan is for $500,000, the borrower will be taxed on $200,000 in new mortgage debt. Please feel free to paste the link into your browser.